The public domain is a considered composition of robust, fine-grained paving and an overlay of simple, public furniture. 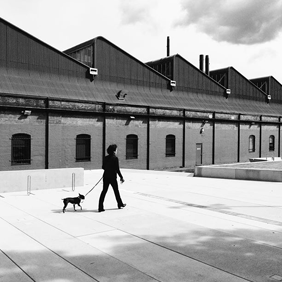 The simplicity of the landscape elements allow the activity and graininess of the laneway to take centre stage, whilst also creating a distinct sense of place. The paving is detailed as a delicate carpet, which extends east-west from Darling Drive through to Tumbalong Boulevard. The furniture elements, consisting of hardwood timber and beautifully crafted precast concrete, appear to float over the ground plane. 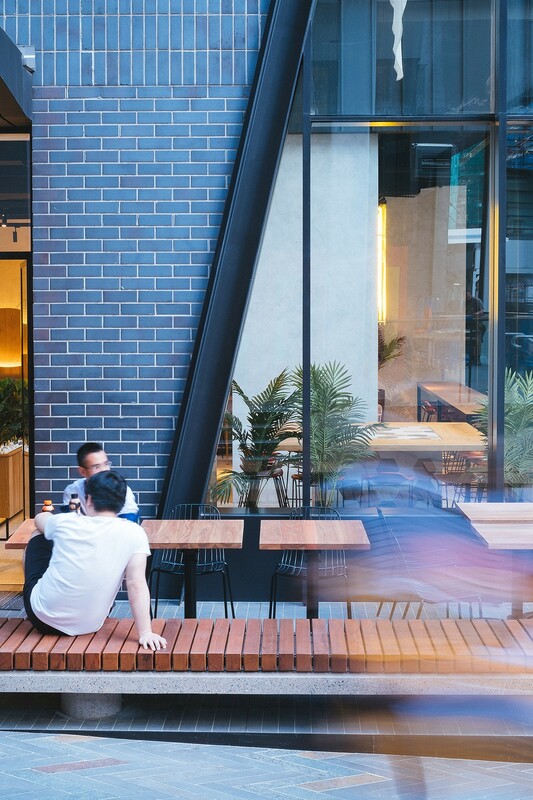 Steam Mill Lane is a new, pedestrianised, ‘eat-street’ laneway located near Chinatown in the southern Sydney CBD. 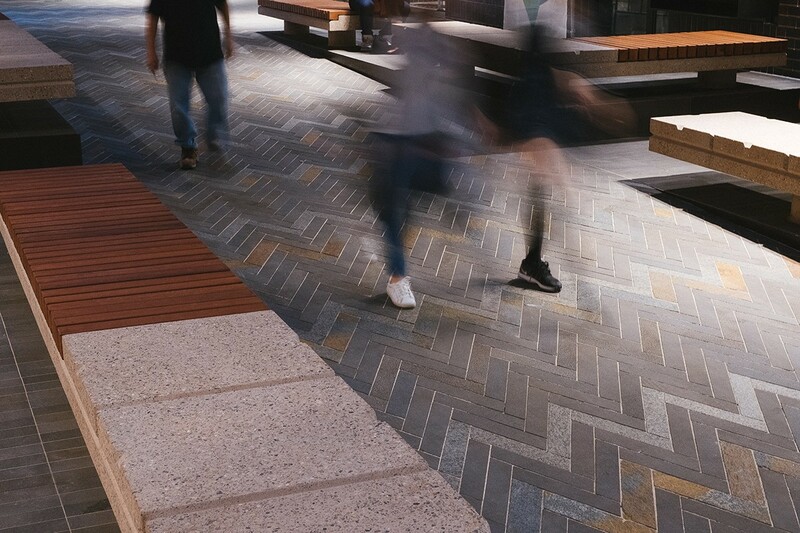 It is the first of two laneways, and a larger series of public spaces that, together, will comprise Darling Square; a significant urban regeneration project on the site of the former Sydney Entertainment Centre and car park. 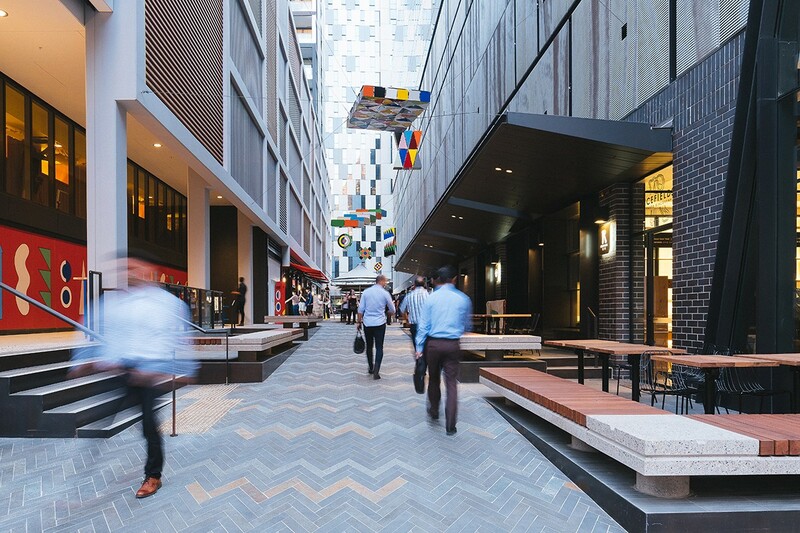 The regeneration of the site has created a new city neighbourhood, with a network of public spaces that reconnect the formerly disconnected Chinatown/Haymarket and Ultimo. The outcome is a fine grained and beautifully detailed laneway, lined with small format food and beverage retailers and boutiques, that has been carefully considered as a complete composition; of a beautiful ground plane, with public furniture and art, detailed shop fronts, building materials and well-considered interfaces. 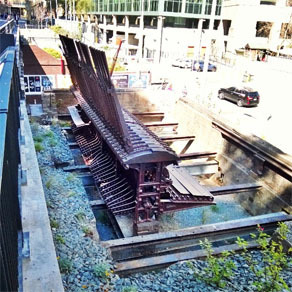 In addition to designing and documenting the public domain, ASPECT Studios’ role was to collaborate with the retail team, work with the architecture teams, as well as to curate and help deliver the public art. Working hand-in-hand with the client, Lendlease, and the architecture teams, ASPECT Studios produced a series of guideline documents that would influence the retail tenancy size, the architectural resolution of the building at the ground plane, awnings, and external spill out areas for retailers. 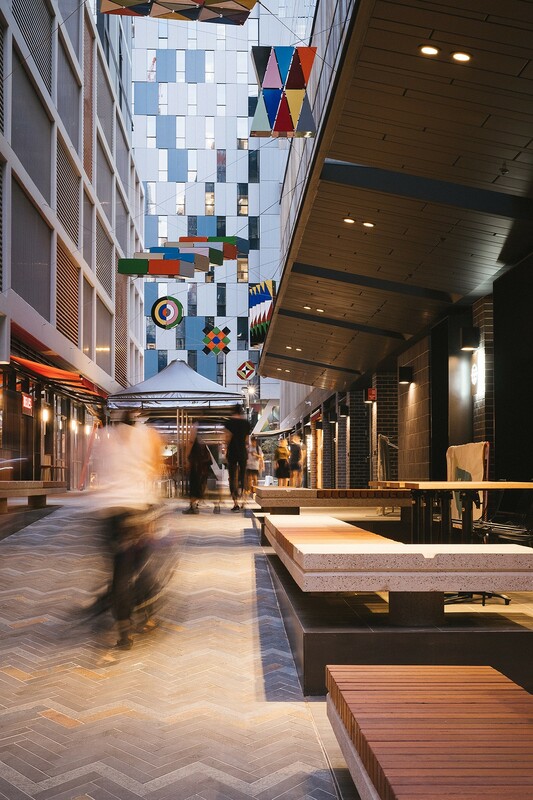 The laneway retail offers a mix of both food and beverage and boutique lifestyle offerings, which supports the needs of the residents and workers in adjacent buildings, as well as tourists and other visitors to the precinct. 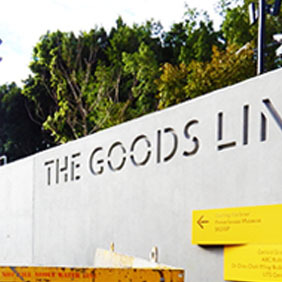 ASPECT Studios worked with Lendlease and Leon Paroisseon to develop the brief for the public art, and to prepare an artist shortlist for consideration. 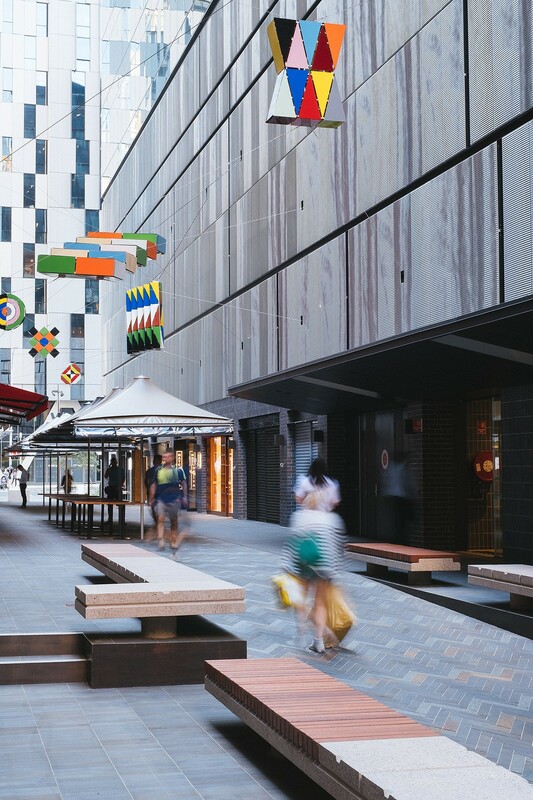 The concept was to create a joyous public ceiling to the laneway that contribute to the activation and human scale of the space, whilst also assisting with wayfinding, night-time activation and enhancing a sense of place. 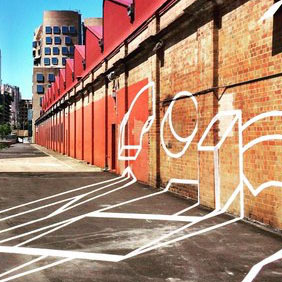 Artist Peta Kruger’s proposal was selected by ASPECT, Lendlease and Leon Paroisseon from a pool of three shortlisted artists.